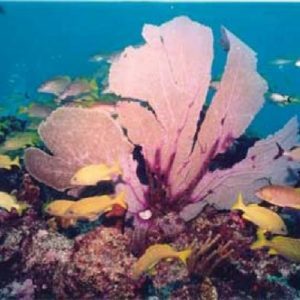 A world class snorkeling experience awaits you in a spectacularly beautiful area of the world, the Punta Nizuc reef. 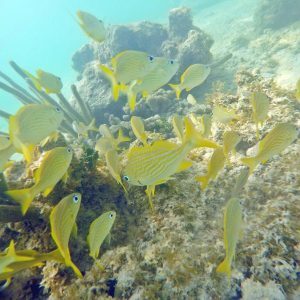 This snorkeling tour will take you through the beautiful lagoon and mangrove channels that the area has to offer where you’ll see spectacular, exotic and colorful marine life. This tour is the perfect opportunity to get up close and personal with underwater creatures as you´ll have the chance to see squid, fauna, octopuse , moray eels, barracudas, stingrays and many other varieties of fish within a safe and guided environment. 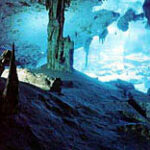 During the guided tour you will be able the see part of Cancun’s unique Underwater Museum. It is a Museum of Contemporary Art located under the Marine Park of the gorgeous Isla Mujeres. It has 500 life-sized sculptures designed by six different artists which provide protection for marine wildlife and help spread live corals. You will be able to see the Punta Nizuc part of the MUSA while you snorkel there. Unlike scuba diving you do not need special qualifications or expensive equipment to snorkel; just simply clip on a mask, a snorkel tube, a life jacket, some fins and you are good to go! Our snorkel tours are designed for comfort, fun, and above all a safe experience. 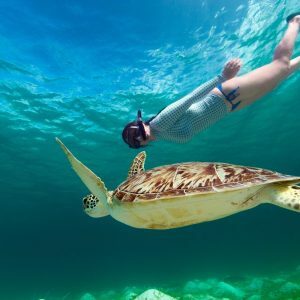 This is the perfect trip for anyone wanted to explore the crystal clear waters of Cancun, giving you the chance to relax within nature and is a great experience to share with friends and family. 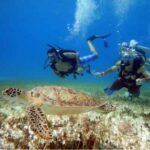 On this tour you will be brought to the Punta Nizuc reef area to snorkel the it’s crystal clear waters. 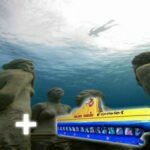 In this area, weather permitting, you can see 16 statues that form part of the Underwater Museum of Cancun. These include ‘The Garden of Hope’, ‘Timebomb’, ‘The last Supper’ as well as the newest additions to MUSA created by local artist Elier Amado Gil. Drinks are provided on the floating platform all day and it’s up to you just how long you want to snorkel, as there are boats departing every hour for you to take back to the marina whenever you are ready.